Dimensions 0.50 by 5 by 7.50 in. In a thought-provoking and impassioned new study, the author of The End of Faith continues his battle against rigid adherence to the Christian religious literalism that is transforming America, refuting the essential beliefs, tenets, and certainties of fundamentalist Christianity in terms of sexual morality, intelligent design, and other key topics. 150,000 first printing. 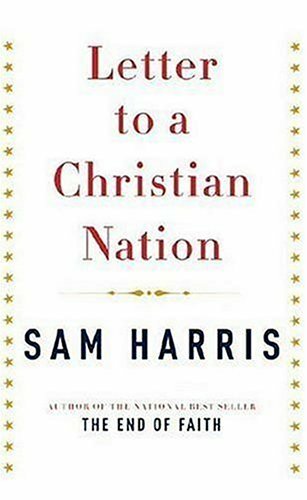 About: Argues that the increasing power of Christian fundamentalists in American politics threatens the country's citizens, blames the Bible for promoting intolerance of other faiths, and describes atheism as 'an admission of the obvious. About: In a thought-provoking and impassioned new study, the author of The End of Faith continues his battle against rigid adherence to the Christian religious literalism that is transforming America, refuting the essential beliefs, tenets, and certainties of fundamentalist Christianity in terms of sexual morality, intelligent design, and other key topics.